Associates In Gastroenterology (Alexandria) - Book Appointment Online! Our aim is to provide the highest quality of medical care. We believe that this includes not only medical expertise and access to the latest advances in medical technology, but also a patient-doctor relationship based upon respect and understanding. 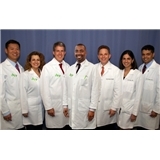 We are committed to excellence and will respond to our patients with a level of care that exceeds their expectations. As a team, we will work to be increasingly recognized as providing the highest quality care available in our profession as measured by patient satisfaction and cost effectiveness.